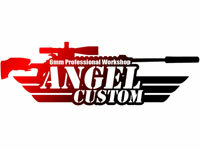 Angel Custom, don't compromise for second best! Rocket Valve? Rocket valves are a critical performance internal part to efficiently and effectively guide the gas into the valve. The Angel Custom CNC rocket valve replaces the original plastic flat base valve for an immediate upgrade on performance! Due to the density and precision of the steel rocket valve, gas output will greatly stabilize. Further more, the contoured, sharp and smooth edge allows a smoother flow and operation. It is proven that the Angel Custom rocket valve manage the "Air Turbulence" during the blowback process smoothly best. Other similar products in the market are made with dull edges, poor coating or weaker materials making the Angel rocket valve the best of the best! 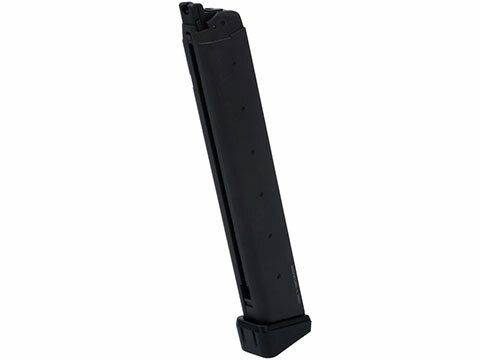 *For Part #24 of your KSC Glock Series. The ultimate firefly rocket valve design designed to withstand high pressure gas, increase FPS, range and accuracy. 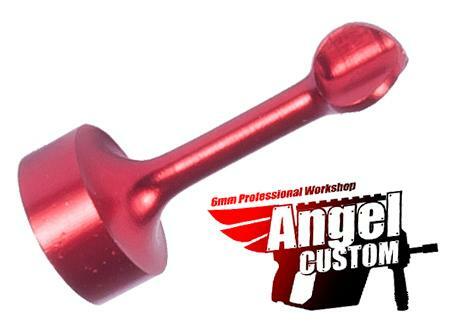 The Angel Custom firefly rocket valve is a redesign of the PDI and Shooter's Design rocket valve with 100% CNC processing, T7075 Aircraft grade aluminum and red anodized surface finish. (Not paint). 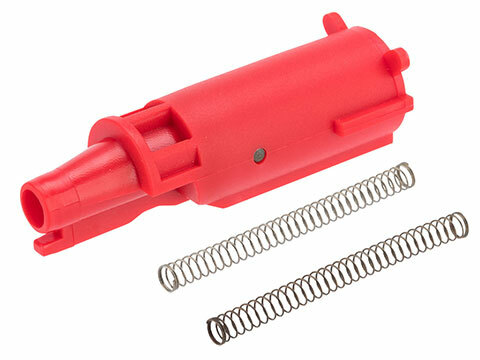 Providing you the ultimate rocket valve for your KSC / KWA glock series GBB and other compatible models. Applications: Tie your firefly rocket valve on fishing line to drag it across water surface to catch very hungry trout or bass. On a serious note, this is currently the best valve for your KWA / KSC Glock series Airsoft GBB. A newer design over the discontinued PDI rocket valve or the shooter's design. With more advanced CNC processing, military grade CNC Aluminum and anodized surface. Color / Surface: Anodized Red. Increase FPS by providing smooth operation. 100% CNC Milled for maximum precision out of T7075 Aircraft Grade Aluminum. Advanced design combining the strength of Shooter's design, PDI and Angel custom's innovation. Designed for high pressure gas, propane, Co2 and other high power gas. "Need to upgrade your KWA/KSC G series GBB, this is the part for you. If you are new to airsoft I suggest you find someone with good experience to install it. "Nice upgrade. Costly but worth it. Will replace the stock plastic valve, which will eventually fail. Better than airsoft surgeon floating valve. Best I have used. Discuss about Angel Custom CNC T7075 Firefly Rocket Valve for ATP KWA G-Series 17 18C 19 23 with your friends and fellow Evike.com shoppers!